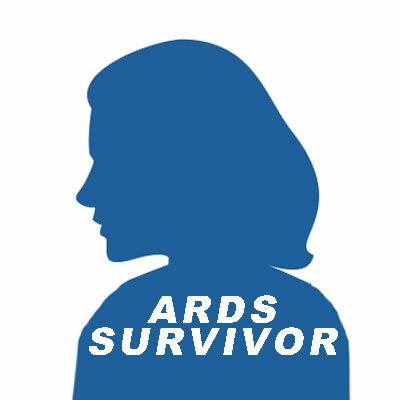 Twenty seven year old Nicole Milbury entered the world of ARDS Aug. 9, 2002. She went to the hospital, in labor with her second child; they had to do an emergency C-section due to the umbilical cord being wrapped around the baby several times. Post C-section, every thing appeared to be fine, until that evening, at which time, Nicole’s blood pressure, and body temperature, bottomed out, and her blood count continued to drop significantly. The physician that was to care for Nicole over the next couple of days told Nicole’s family that everything would correct themselves, and nothing was done until 8 a.m. the next morning. At that time, a nurse came in after shift change, and she couldn’t help but notice that there was something terribly wrong and immediately took her to surgery. Surgery showed a very large hematoma, where Nicole had hemorrhaged for many hours, and they could not pump the blood back into her fast enough. Nicole had a partial hysterectomy due to damage from the bleeding, and post operatively; she was diagnosed with ARDS, taken to the ICU, and on a vent for 11 days. Thankfully, Nicole’s baby boy, Keyton, is healthy, and wonderful, but she has no memory of ever seeing him, until the day she got taken off the vent. Her husband, Ian, brought the baby and her 6-year-old daughter Kenleigh to finally see their mom. Nicole currently sees many physicians for many ongoing issues, that they still cannot seem to resolve, but she is so grateful to be here, especially since the doctors told Nicole’s family that she only had a 10% change of survival at one point, and somehow, by the grace of God over the next few days, things finally took a turn for the better. Nicole’s respiratory therapist and her doctors say that she is a miracle! There was an angel watching over her! Nicole feels so grateful to have a second chance at life! Nicole and her family reside in Bellbrook, OH.